This is not an ode to the city I love, neither is this a farewell letter. Before you read further, let me tell you, I’m now into my last week in Mumbai. 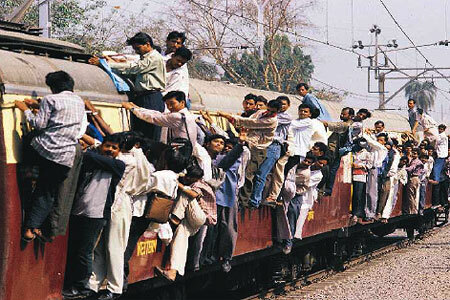 Well, at least for the next 5 years, I’ll be living in Delhi to study law. I don’t know why I am writing this. Hell I don’t know what this is. Take it as my rambling if thy shalt will. It’s a funny feeling. Moving. The verb, the word but mostly the feeling. It’s not just that you’ll be leaving behind a life that you’ve carefully built. But you’ll be leaving it behind for something new, something unfamiliar.18 years of my life, my friends, my love, my city, and my way of living, everything, gone. It’s a huge thing because of many reasons. In life, we never realise it, but it is always what that is around us builds us. Bombay, the city I was born in, the city I lived my childhood in, the city I hit teenage in, the city in which I turned 18,the city that was always my solace, the city that taught me life, the city that punished me, the city that nurtured me. 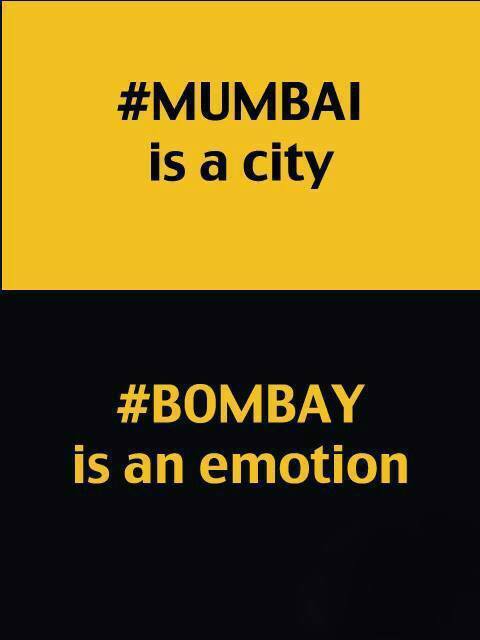 Bombay was always there for me. I’ll specially miss sitting by Marine Drive or Worli Seaface,enjoying my timeout from life, staring blankly at the sea. If you haven’t already done that, do it. Just for a few minutes. Stare into the vastness and the far far away expanse. Think of nothing. Just stare. I proudly say that the city always was my first love. Today, with just a few days left before my flight to Delhi, I have no words to say to it. There is so much to do, so much to say, yet no time. I feel like I’m being torn away from it, piece by piece. A few days ago, I saw this picture which put my turbulence in words. It is true folks. I’m leaving Mumbai but the Bombay shall always be in me, and right now, it is bubbling up via this post, and I am unabashed when I say I don’t want to bottle it up. People always yearn for security. That’s the entire point of our life. To lead a secure life. For a just emancipated adult, my parents were my umbrella, my armour and my everything. I remember those tiny fleeting moments when they were there for me. Trust me; they are the ones you remember and not the major ones. In Delhi, I’ll be alone. Yes, we live in the 21st century, so we have phones, SMSes, BBM, Whatsapp, e-mails, letters, Skype and all those other mediums which reduce the distance between people. But the problem is that they can never remove the distance, only reduce it. However close I may feel, the brutal cold truth would be that I am thousands of kilometres away in Delhi while they’ll be in Mumbai, and not with me physically. That’s just something I’ll have to deal with, accept and move on. I don’t think I’ll ever be able to sum up all the emotions I’m feeling in one post and relax, I don’t intend to write a second post on this. All I wanted to do was put my emotions and rather on a broader outlook, almost every Mumbaikar who is leaving Bombay ‘s feelings into a post, because I understand how hard it is to articulate them. The heart is a fickle thing and it hates change. But at the end of the day, the clock ticks on, the date changes, the world sleeps and awakes anew, and so shall I, with a hope, and only that hope to lead me on.